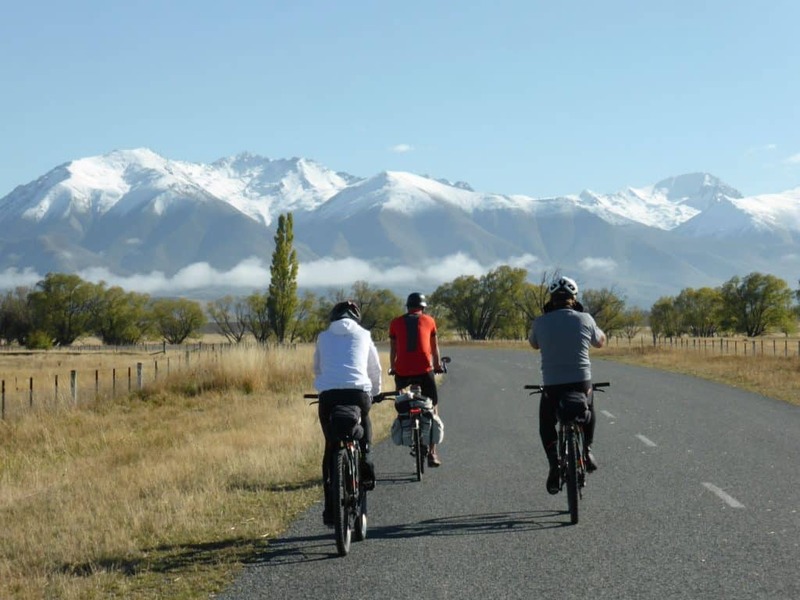 Continuing on from Alps 2 Ocean Ride 1 Blog….. Starting bright and early from our Twizel accommodation we headed into the centre of town for our breakfast. We ate at Shawtys Café, I had the French toast – it was amazing!! The morning was cold with a mist over Twizel before the sun started to peak through and warm up the air. 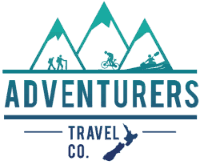 Alps 2 Ocean Ride 2 would be comparatively short at only 38Km! The ride out of Twizel is along the Glen Lyon Road which is quiet with regards traffic and is really flat. 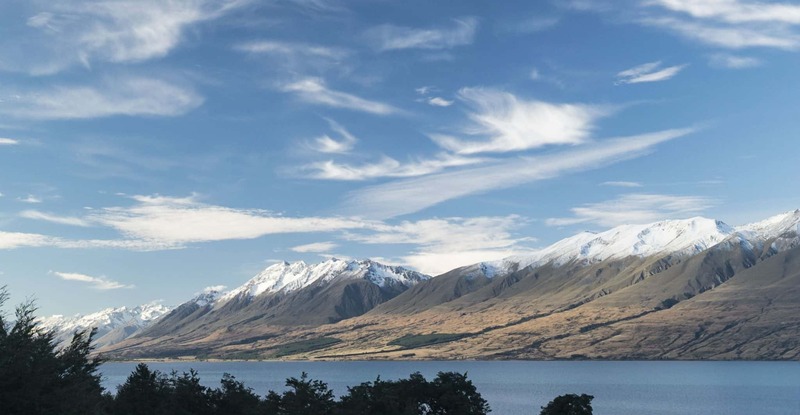 The snow capped mountains of the Ben Ohau range are in front the whole time, so it is a very picturesque few Kms. Our first stop was around the 6Km mark, at Loch Cameron. 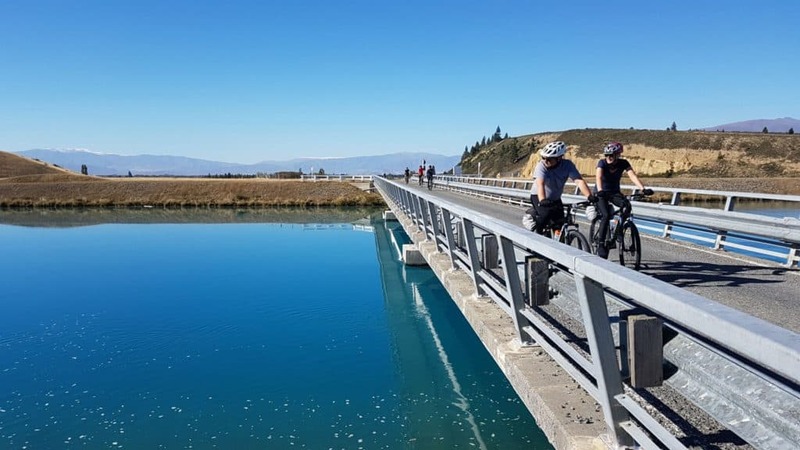 This is a little lake just next to Pukaki Canal bridge. It’s an awesome spot for a swim when it’s warm enough. This lake actually warms up, unlike all the others around! Saying that, even though the sun was out, none of us were quite brave enough to try it in April! It’s worth the effort of climbing the small hill next to it, the view is awesome. 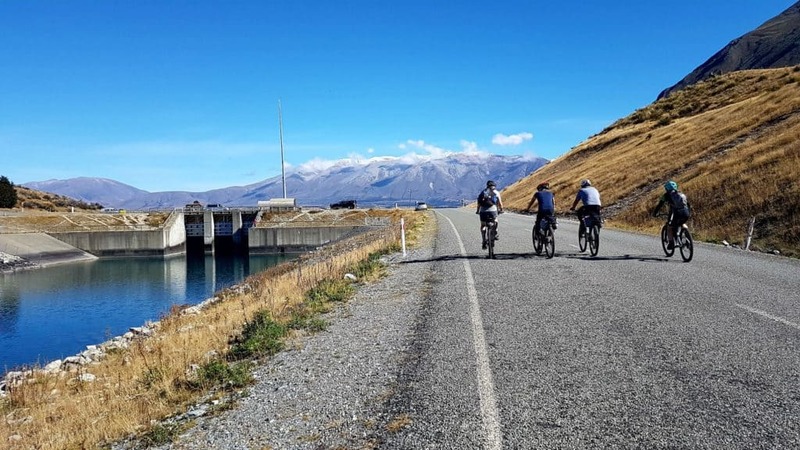 As the weather was beautiful with no wind, we made fast progress along the Pukaki Canal, watching the reflections of the clouds as we rode and chatting away as we went. It was so clear that you could actually see Salmon in the shallows! The Pukaki Canal meets the Lake Ohau canal at about 8Km. We stopped again for a quick look, here you can see that the water in the two lake outlet canals are different colours. We took a detour here to our host Jason’s section which was nearby. He built a cabin here for his young family and is working on the land to create his vision for the place. It was very cool walking around his land hearing his plans, it reminded me of what my parents did with their small holding in Mid Wales in the 1970s when their plan was self-sufficiency! The riding was again super easy along the Lake Ohau canal for another 10Km or so until Lake Ohau itself. 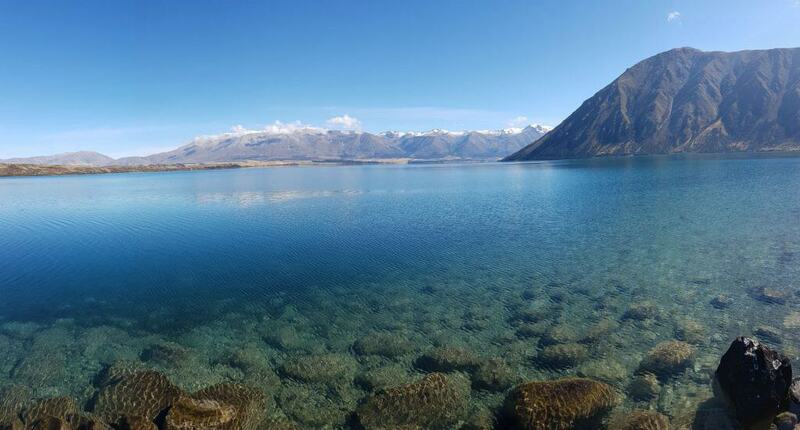 I was looking forward to seeing Lake Ohau as many people had said about how beautiful it is. And it did not disappoint. 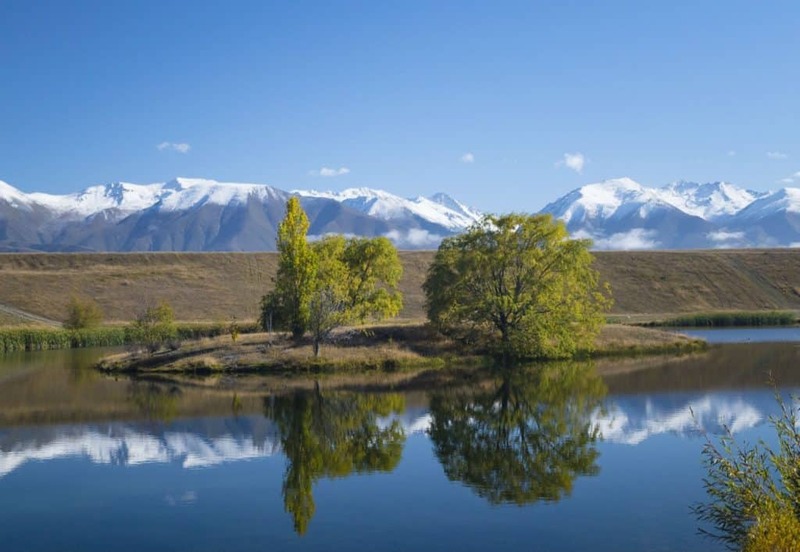 The lake was glassy flat complete with mirror reflections of the snow-capped ranges. 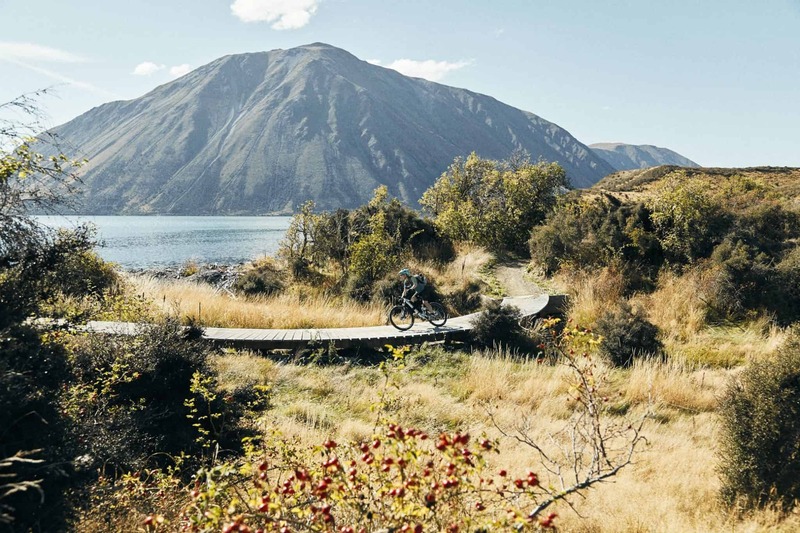 The trail here goes off road here and around the side of Lake Ohau. It was perfect for a cool drone shot so Dougal got her up and going. The off road track is super cool, it drops down towards the lake and has expansive views. It’s a little exposed so for the less confident riders of the group there was a section where they walked or took it slowly, but for those of us a little more used to mountain biking we had a blast down this section! 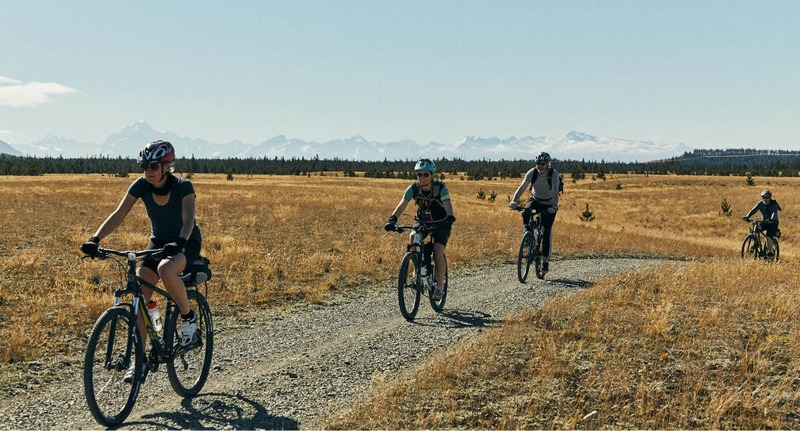 The great thing about this part of the trail is that it is fairly remote so it was very peaceful and we really felt like we had this wonderful place to ourselves. There was much stopping for photos and to appreciate our surroundings. And a compulsory stop at Maori swamp, which is a great little beach to chill out at before finishing this trail section. We cracked open a beer each here (that we’d brought with us!) and soaked up the sunshine. Perfect! 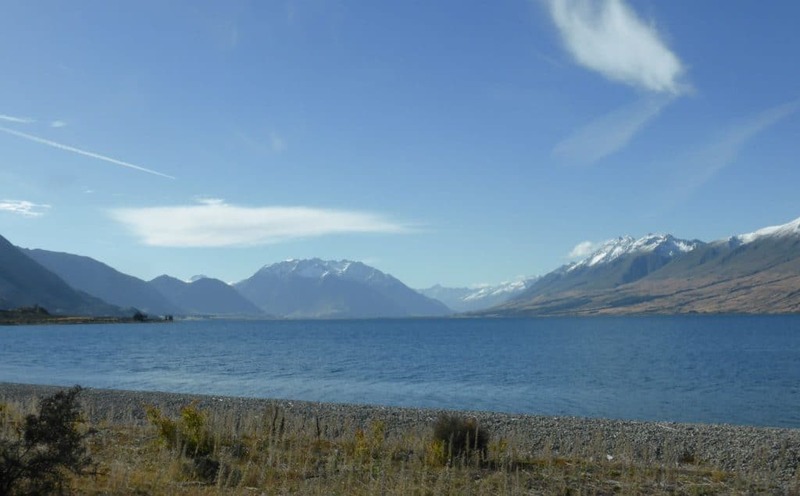 The trail continues to follow the shore around Lake Ohau from the outlet round to the main valley for about 10km. 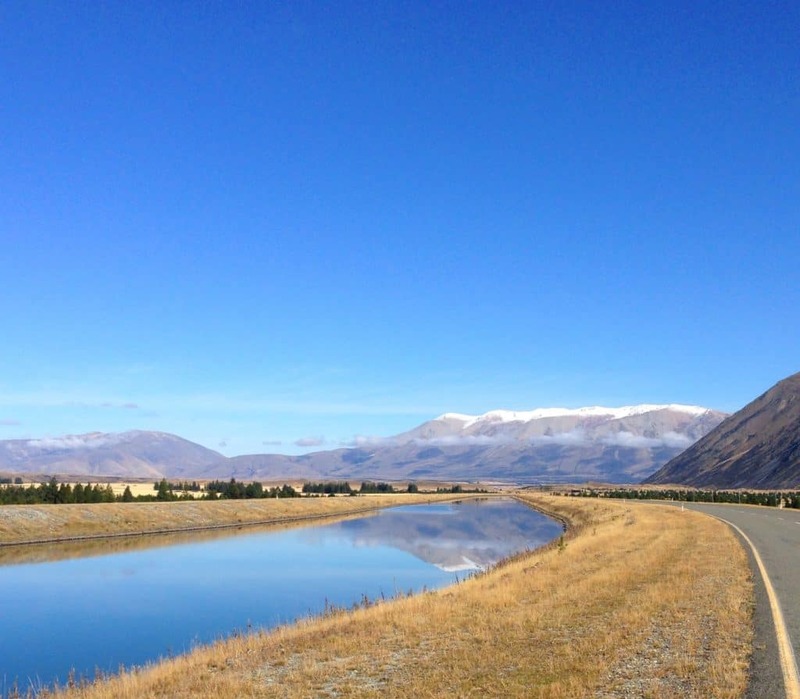 Getting to about the 25Km mark from Twizel, the lake view opened up to the left of Ben Ohau and we could all the way down the valley and Mt Cook in the distance. 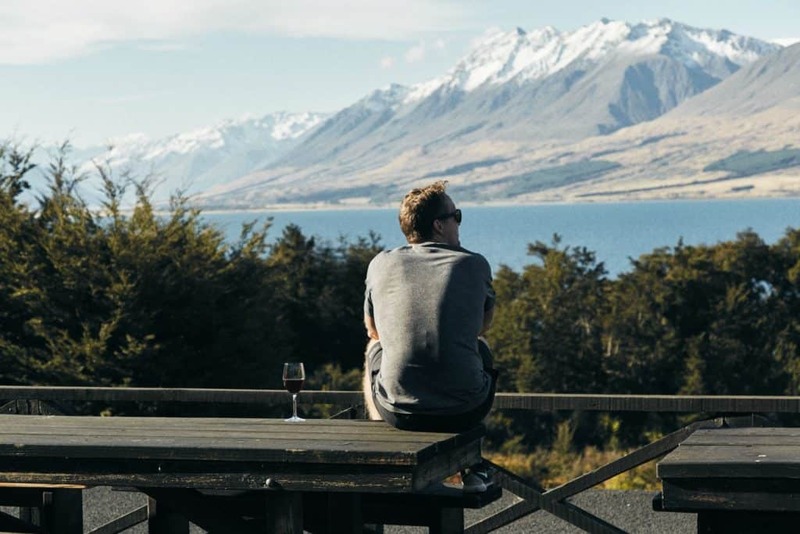 After a few photo shoots as per the day before, Kenny, Dougal and I were way behind the rest of the group so by the time we arrived at the Lake Ohau Lodge they were already well settled into a couple of beers on the sunny deck. 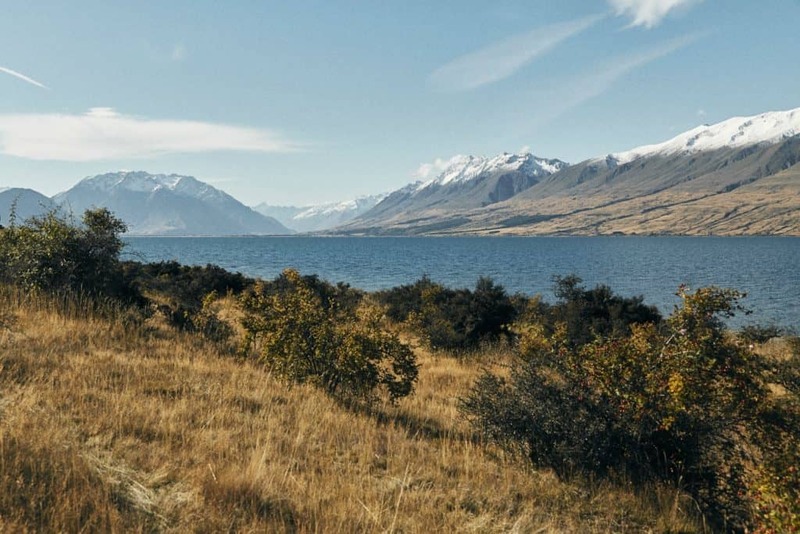 Lake Ohau lodge is a incredibly welcoming and beautiful place. 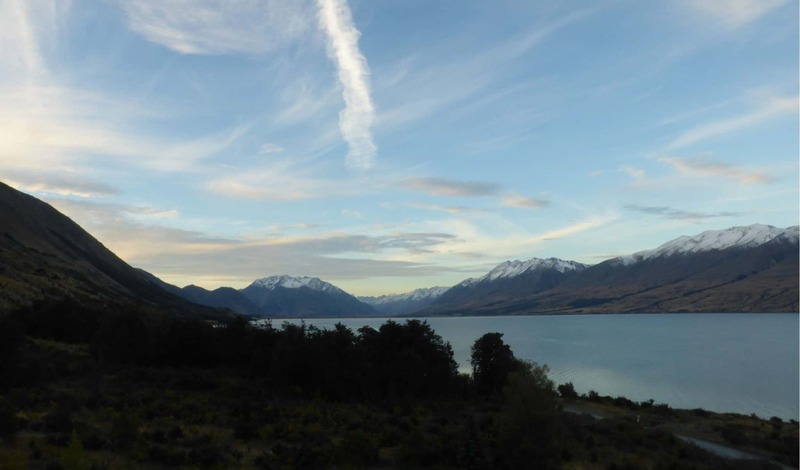 With excellent views of the lake and mountains and with great hospitality (thank you Mike and Lousie for making us feel so welcome) and hearty food. What more do you need after a days biking?! Twizel to Lake Ohau section is very flat and the Km’s pass by pretty easily. Lake Ohau Track is very beautiful! Blogs of days 4 and 5 to come.